Peru as mega diverse country, count with an endless list of stunning places and things to do along its all territory. From the wonderful landscapes and archeological sites of its highlands to the great biodiversity of wildlife in its jungle... and the interesting culture, entertainment and relaxing of its coast. If you decide to go to Peru you have to pass for Lima first, there you cannot miss it to do a sightseeing tour around the city and know all about its beautiful colonial architecture of its center as The Cathedral, Main Square, Palace Government, churches, museums between others. Also give a walk for its main commercial neighborhoods and districts as Miraflores, San Isidro, and Barranco which you will find a variety of places for entertainment, fun and relax and of course give a tasted at our exquisite cuisine in the Lima restaurants where are since economic to most expensive and fancy all along the city, some of them in front of the pacific ocean with terrific views and stylish decorations. The Lima nightlife is very lively, exists a lot of pubs, discos, where you can enjoy of our delicious Pisco Sour (traditional Peruvian drink) and the most representative beers (Cuzqueña, Cristal, Pilsen...etc) and other good drinks while you are dancing all kind of music and spend a good time. You cannot go to Peru without visiting the mystical city of Cusco. A tour of the city could begin in the historic center where you can admire the Cathedral, churches and museums around, after you can move to see the Koricancha (temple of the sun) and the impressive fortress of Sacsayhuaman and then walk through the steep streets of the city, surrounded by mountains. And of course we can do not forget one of the wonders of the world which are in mind of all the travelers who decide to visit this fantastic city...Get to the mountains and reach the most famous citadel of the Incas empire...Machu Picchu. Certainly visit the archaeological site of Machu Picchu is a must and an unforgettable experience. The idea is to hire a Machu Picchu tours for two days. You can visit the citadel and enjoy its spectacular views and climbing The Wayna Picchu where is showed the best view. Arequipa is the second largest city of Peru and is well known as the white city because many buildings have been made with Sillar (a volcanic stone) that give them a fantastic look, so it would be great to give an eye to the main square, The Santa Catalina convent, and other interesting places around the city . Arequipa is surrounded by three impressive volcanoes Such as Misti and Chachani that also can be visited. When the tourists decide to Travel to Arequipa definitely have at their itinerary to go to Colca Canyon Along with its spectacular scenery, the Colca Canyon’s claim to fame is that it’s twice as deep as the Grand Canyon in the United States, though the walls are not as vertical or dramatic. The region is also well known as the home of the rare Andean Condor, an enormous bird with the largest wing span of any land bird, at 3.2 meters. In these places there are excellent choices of fun, relax and discovery. Huacachina is situated outside the city of Ica, about 4.5 hours at the south of Lima and 10 hours from Arequipa (by tourist class bus). The desert village is built around a small natural lake with towering sand dunes surrounding it from all sides. The Peruvian desert oasis has become an increasingly popular tourist attraction for adventurers drawn to sandboarding and high speed dune buggy rides. The Islas Ballestas are close from the beach town of Paracas by tour boat lasting about 2 hours. this beautiful place surrounding by a variety of species is kwon as the Galapagos Islands of Peru, because the islands are home to many rare birds, including pelicans, penguins, cormorants, Peruvian boobies, and Inca terns. It’s also common to spot sea lions, turtles, dolphins, and whales in the park. The Nazca Lines are clearly one of Peru’s most interesting and peculiar attractions. There are several Nazca Lines theories about how and why the geoglyphs were created but it seems nothing is conclusive. 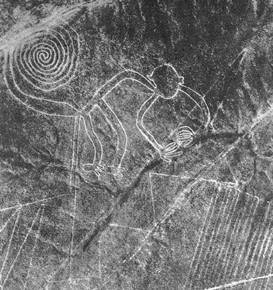 Regardless, Get an overflight and discover the mysterious Nazca lines that continue to fascinating all visitors. The designs (animals and geometric figures) are visible only from the sky and are in the Pampas de Jumana.